After experimenting with a few variations of Quizzes we found one format that works a treat… but if you have your own setup we have that covered too. 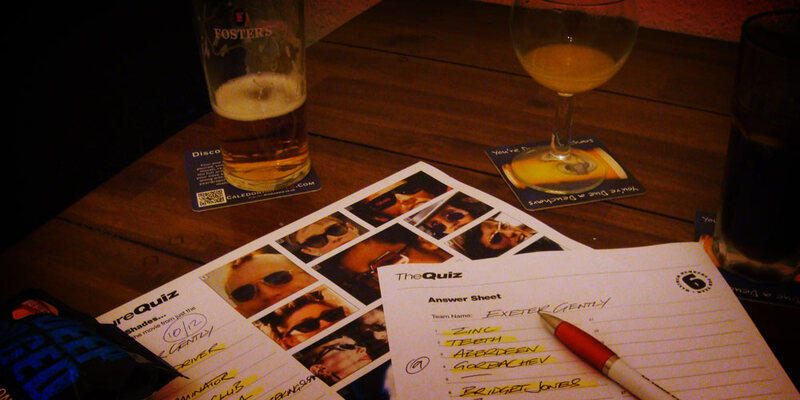 Our standard Quiz format is a Picture Round followed by four rounds of ten questions. The broad theme for the four rounds are General Knowledge, Music, Sport and Film & TV. Each round starts with a couple of easy questions then as the round progresses they get a little more challenging. This means each team in the Quiz at least has a chance of getting a couple of points on the board! The ten questions for each round are also graded by date so that everyone in the teams both young and old can get involved. The music round for instance may have questions from sixties hits through to the present day as well as musicals and even opera. Read more about our thinking behind ‘grading’ here. The answers to the questions are all verified from two sources (not just Wikipedia). After many years researching and writing quizzes we have found it best to double check answers. Especially to some of the more obscure questions! The Quiz download comprises of a .zip file containing unbranded, A4 PDFs with ten questions and answers per sheet. This .zip file also includes a plain text version so that if you already have a quiz format you can just choose which questions to copy. The Picture Quiz download comes as a two page PDF. The first page is for printing out and giving to your Teams and the second page is the same but contains the answers for the Quizmaster. The Picture Rounds are generated as high quality PDFs to ensure the best reproduction when printed. Following the Quiz we then have a Wild Card Question. These questions are ridiculously obscure facts where the answer is a figure or date that no-one should know. The idea is that after your Quiz everyone pays a small sum into the pot and the winner, closest to the answer, gets all the money collected. The Wild Card comes as a single page A4 PDF containing the question and the answer. To download our Quizzes use the Quiz Downloads link in the sidebar or click here.